Gerard Way, lead singer of My Chemical Romance, just released a cover of the Turtles 1967 hit “Happy Together.” The song features Ray Toro, a former My Chemical Romance bandmate. Way’s version stays true to the original, adding a more rock centered sound to the rhythm that listeners might expect from the former punk band member. “Happy Together” was originally written by Gary Bonner and Alan Gordon, former members of The Magicians. Before the Turtles picked it up it had been rejected by a number of groups. Once it was released as a single in February 1967 by the Turtles, it reached the number one slot in the US Billboard Hot 100 and remained at the top for three weeks. Way formed emo-punk My Chemical Romance in 2001, helping bring emo and punk music into the mainstream at the turn of the millennium. One of the band’s biggest successes was its 2006 hit “The Black Parade.” Their last album before breaking up in 2013 was Danger Days: The True Lives of the Fabulous Killjoys. Since the breakup of My Chemical Romance, Way has stayed busy establishing success as an award-winning comic book writer. In 2016, he was writing Doom Patrol, a comic book series being published by DC Comics. His version of “Happy Together” will be featured in the Netflix adaptation of the comic book series he wrote, The Umbrella Academy. 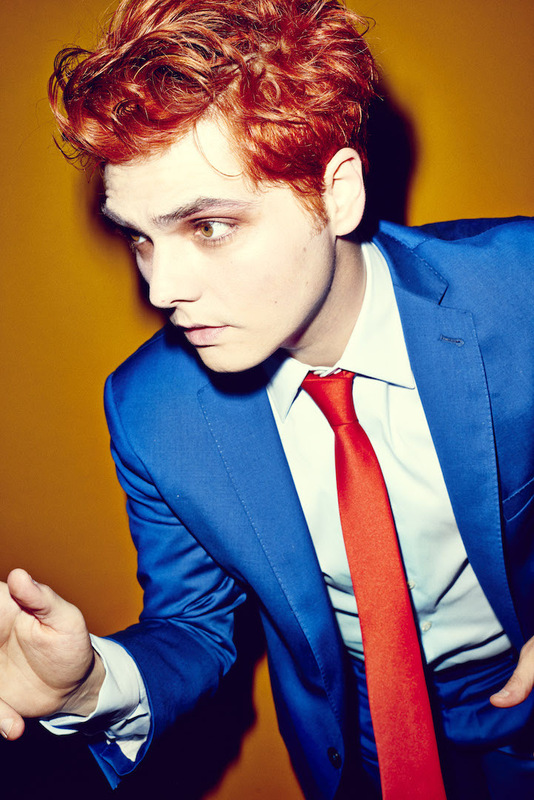 In addition, he also completed his first solo album, Hesitant Alien in September of 2014. His first song since 2016 was his single “Baby You’re a Haunted House” which was released in 2018 through Reprise Records. Way was also featured in Jimmy Euringer’s song “Sailor In A Lifeboat” in October of 2018. His version of “Happy Together” is his second cover of an iconic song from the ‘60s in the last couple of weeks. In January he released a cover of Simon & Garfunkel’s 1966 single “Hazy Shade of Winter.” This version is also taken from the upcoming Netflix series The Umbrella Academy. Listen to “Happy Together” below.